J. F. Lawton was born on August 11, 1960 in Riverside, California. His father was the famous writer Harry Lawton, author of the award winning novel "Willie Boy: A Desert Manhunt" (1960). The book became the basis for the movie Tell Them Willie Boy Is Here (1969), starring Robert Redford. When he was young, Lawton was diagnosed with severe dyslexia which made school life very difficult. His learning disability didn't make him give up the desire of being a screenwriter. After high school he went to study filmmaking at California State University in Long Beach. Lawton then moved to Los Angeles and worked in various post-production companies. During this time he wrote a number of feature film scripts including one called "Three Thousand", which was selected by the Sundance Institute. Touchstone Pictures purchased the script and later he changed the title to Pretty Woman (1990). Starring Julia Roberts and Richard Gere, the movie became one of the most successful romantic comedies of all times. Julia Roberts won a Golden Globe Award and was nominated for an Academy Award for Best Actress. J. F. Lawton was nominated for a Writers Guild of America Award and a British Academy Award. 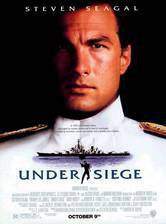 He then wrote and executive produced his next original screenplay Under Siege (1992), based on his million-dollar spec "Dreadnought". 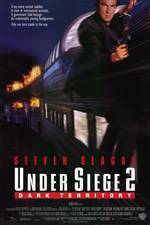 Starring Steven Seagal, Tommy Lee Jones and Gary Busey, the movie broke box office records and a successful sequel followed, Under Siege 2: Dark Territory (1995). 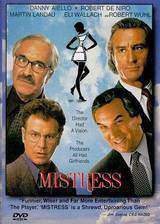 With Barry Primus, Lawton co-wrote Mistress (1992), a movie starring Robert De Niro, Danny Aiello, Christopher Walken and Martin Landau. The comedy was one of the first films produced by de Niro's production company, Tribeca Productions. 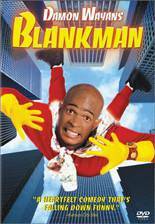 The next project was Blankman (1994) a movie he co-wrote with comedian Damon Wayans for Columbia Pictures. 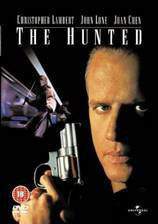 Following that, Lawton wrote and directed The Hunted (1995) for Universal Pictures, which starred Christopher Lambert, John Lone and Joan Chen. 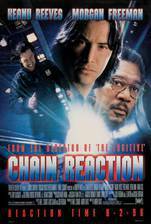 Next came Chain Reaction (1996), an action thriller with Morgan Freeman, Keanu Reeves and Rachel Weisz. For television, he created and executive produced the Sony hit syndicated show "V.I.P." (1998), starring Pamela Anderson. Blending action and humor in a fast-paced adventure series, the show ran successfully for five seasons. After that, Lawton returned to the big screen with a script for DOA: Dead or Alive (2006), a film based on the huge video game series success of the same name. He then wrote and directed Jackson (2008), a comedy-drama-musical starring Barry Primus, Charles Robinson, Steve Guttenberg and Debra Jo Rupp. His latest script with South Park creators Matt Stone and Trey Parker is in development at Paramount Studios.